This experience allows us to bring an outside view to any resort development whether starting from scratch or operating for many years. We have brought a wealth of knowledge and expertise already to many established resorts providing new product enhancements and some unique strategies for sales. In recent years we have launched some ground-breaking campaigns aimed at bringing new clients to site utilizing all the modern marketing and networking techniques available to attain maximum occupancy and thriving resorts. Richvale has a network of sales and marketing professionals and many business partnerships accumulated over a period of years. This strength in numbers means that even the smallest resort can tap in to a larger operation and benefit from the economies of scale that this brings. We work very closely with our associated partners to ensure that any solution we bring is in the best interest of the sites we work with and its clients. Aimed at couples and families the resorts offer fully appointed self-catering apartments in an apart-hotel resort environment. Over the last 25 years our directors have been involved in the promotion and management of resorts for clients ranging from small independently owned resort properties to large corporate organisations. Their experience is now fully focused on the operations and management of these two resorts to ensure that our guests have a care free and memorable holiday every time.  RICHVALE RESORTS OWNS AND MANAGES TWO HIGHLY INDIVIDUAL PROPERTIES IN MAINLAND SPAIN AND TENERIFE. OUR DIRECTORS HAVE A WIDE RANGE OF EXPERIENCE IN ALL ASPECTS OF RESORT MANAGEMENT AND HOSPITALITY. "EXCELLENT PLACE TO STAY, CLEAN, FRIENDLY, NEAR TO THE BEACH.... WE LOVE THE PLACE"
"ROOMS LOOKED LIKE EVEN MORE THAN WE EXPECTED... IT WAS THE BEST HOLIDAY!!!"
. RESORT MANAGEMENT AND HOSPITALITY. "YOU CAN'T FAULT THE RESORT, RECEPTION VERY HELPFUL... THE APARTMENT WAS EXCELLENT..."
The form has been successfully sent and we will be in touch with you as soon as we can.